Refugees: The United States isn’t the only country that has a two-tiered system of “justice,” one for the elites, illegals, terrorists, Islamists and George Soros thugs that destroy our cities and assault people in the name of their black racism and another for the law-abiding American citizens. We’re not alone in having a gangster government that exempts themselves for compliance, that allows special interests and protected classes to enjoy immunity from the law while persecuting our native, majority population. Germany, under the fascist EU dictator Angela Merkel, also has a similar and in some ways more compromised mob government that is, as the criminal Democrat regime is doing in America, flooding their nation with terrorists, terror sympathizers, terrorist interns and a few non-terrorist Islamist’s to offer cover for the rest. Merkel doesn’t care what the background is of the invaders she’s importing. As long as they are Muslims she figures everything else is going to work out the way she and her globalist comrades have planned. The invasion is all deliberately imposed upon the people of Europe as is being done to the Americans, in order to change their culture from that of Western Christianity to Middle Eastern Islamo-tyranny. Falsifying a passport is a crime in Germany, just as document fraud is a crime in America, with a penalty of five years in prison. If a white German were to commit that crime in his own native land, he’d be in a heap of trouble. For unknown foreigner invaders pretending to be someone they aren’t, bringing with them unknown risks to the German people, it’s no big deal. The Germans just let them in, ignore the crime and ignore the fact that they have no clue who is now roaming among their citizens. Maybe they won’t blow them up or attack them in a theater, mall, airport or train station. Surprisingly, the German federal migrant agency is admitting to the security failures, acknowledging that they routinely allow invaders to enter even though they are fully aware that the documents they have presented are forged. A recently released report identifies the German agency in charge of “migration,” the Federal Office for Migration and Refugees (BAMF), as turning a blind eye to forged documents. 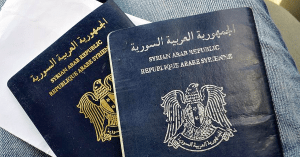 A report in Die Welt establishes that of 217,465 passports, birth certificates and driver’s licenses used by those granted asylum, 2,273 were known forgeries. Nobody was arrested and their applications were processed as if they were legitimate. There is a strange kind of self-destruction taking place when a nation invites criminals, which is what those using fake documents are, into their midst. It’s worse when you can’t establish who or what those people really are. Just as with the illegals in the United States using the stolen identification of Americans, nothing has happened. The IRS doesn’t even share the information with the victim and they continue to allow the offending illegal to use the documents, to remain in the United States, and to work under someone else’s name. German law enforcement is quite concerned over the risks associated with the refugees fraudulent passports, with the Federation of German Detectives (BDK) having called for them to be informed in instances of suspected fraud. As is typical with the pro-invasion government criminals, the BAMF says that’s not their job. BAMF vice-chairman Michael Bohl said it isn’t “up to the discretion of BAMF to decide if the law had been broken or not.” It would be fitting if the next terrorist victims are members of their families. Maybe it would become their jobs then. German immigration rules require that any asylum seeker that has either withheld information regarding their nationality or attempted to deceive authorities is to have their claim immediately rejected. You can’t get much more deceptive than falsified passports but no punitive action has yet been taken in any of the cases. It’s not surprising that the same corruption and manipulation of the system is evident both here and in Europe as we are both in the throes of a battle for our survival against the same global government criminals. The tactics are the same, regardless of the location. 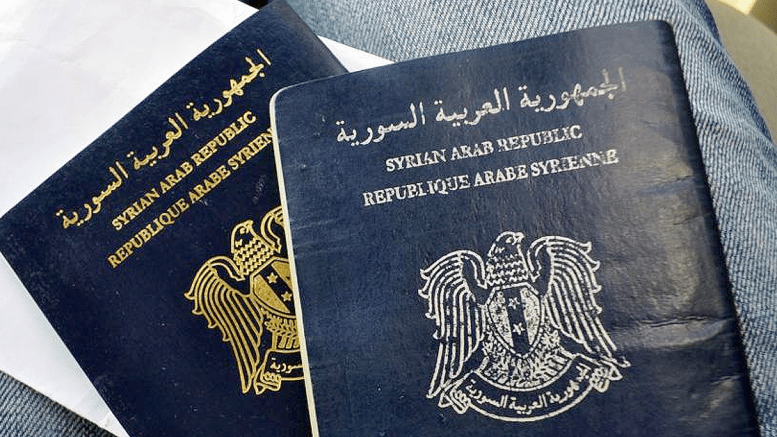 Passports are one tool of deception, but the deception has many forms and it is everywhere.